Kyras Jones in action for Celtic Dragons. 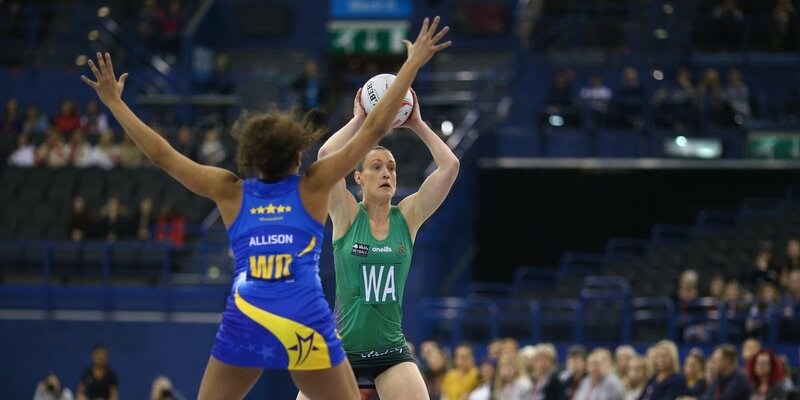 Celtic Dragons will have a huge hole to fill next season after Kyra Jones announced she will be retiring from Vitality Superleague action next month. A veteran of more than 150 Superleague matches, as well as more than 50 Welsh caps, the 33-year-old Aussie-born centre has been the heartbeat of the Welsh franchise almost from the start. Jones played in the side that reached the 2013 Grand Final, went to two Commonwealth Games with Wales and also featured in the 2015 Wold Cup. Having come to Wales from Perth in 2009, she first played for the Dragons as an import player and qualified to play for Wales in 2011. She spent one season at Team Bath in 2015, but soon returned to the Welsh capital, where she lives with her Welsh husband. In an emotional retirement announcement on Twitter she said: “It is with heavy heart that I announce my retirement from the Celtic Dragons and the Superleague. “Being a part of the Netball Superleague over the last 10 years has been such an amazing journey for me. When I think back to when I sent off my application to potentially be a part of the team called Celtic Dragons, which I had never heard of, it does not seem that long ago, but by gee time has flown. “I have had so many amazing opportunities to play with, and against, some of the world’s best netballers. It is amazing to think that had I not started as an import player, I would have never had come over, met my husband and stayed to play in this netball league! “It has been a whirlwind of a journey and one I am very proud to say I have thoroughly enjoyed. From the highs and lows of each season: injuries, selection, non-selection, meeting new people and making friends for life, it has been a pleasure to be a part of and I can’t thank Celtic Dragons enough for their continued support over the past 10 years. She will continue to have an impact on the Welsh netball scene through her role as head of netball at Cardiff & Vale College and she will remain on the Wales international long squad list. Dragons fans will get a last chance to see her in action at the final two matches in this season’s much-improved Superleague campaign against Surrey Storm at home on Saturday, 27 April, and at Loughborough Lightning on Saturday, 4 May. Current Dragons head coach Tania Hoffman, who joined the team this season, also joined in the tributes. “Kyra has been a vital member of the Celtic Dragons franchise for many years. Her desire to continually challenge herself is one of the aspects I admire her for and is something that younger players can learn from her,” said Hoffman.